Could it be necessary to communicate art? Or is it art that should communicate something? What form should content take in order to reach its recipient? How can a conversation’s ambiguity be ensured, to permit an exchange between parties? These questions find validation in everyday experience, in which communication is articulated by the modes of new media. Technology is the status symbol of our society, “which can no longer be seen or treated as it once was” – Paul Valéry affirms – “which can no longer be distanced from the endeavours of modern conscience and power”. Besides Valéry, Walter Benjamin was among the first to grasp the potential of technology, through which art is founded “on policy” – meaning the public dimension, where time and space are reformulated in the light of the collective condition (presumed or real). Benjamin’s words were prophetic, if we consider the willingness of artists to “come out of the frame”, fusing art and life and bringing the public into play as an active part of producing works. In the late sixties, Rosalind Krauss took a close examination of the work of conceptual artist Marcel Broodthaers as the starting point for her theory of the post-media condition of art, in which aesthetic conventions and the demands of technology come together, allowing the virtual medium to be considered as a “complex device”. 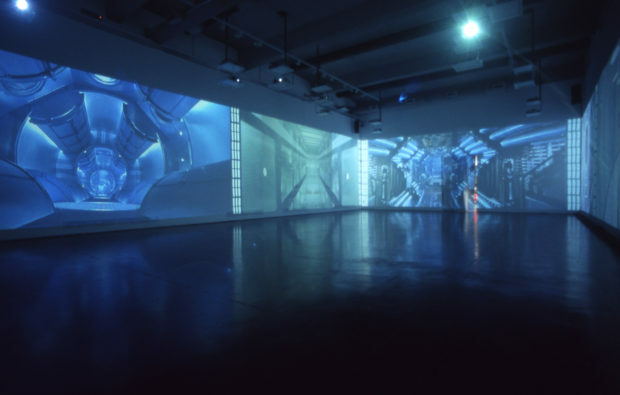 Multimedia experimentation becomes an integral part of the process of breaking with the past, of which virtuality (video works, video installations, light-boxes) and the languages of informatics (matrix codes) are a part, considered appropriate tools for communicating with the user without excluding or limiting their participation. 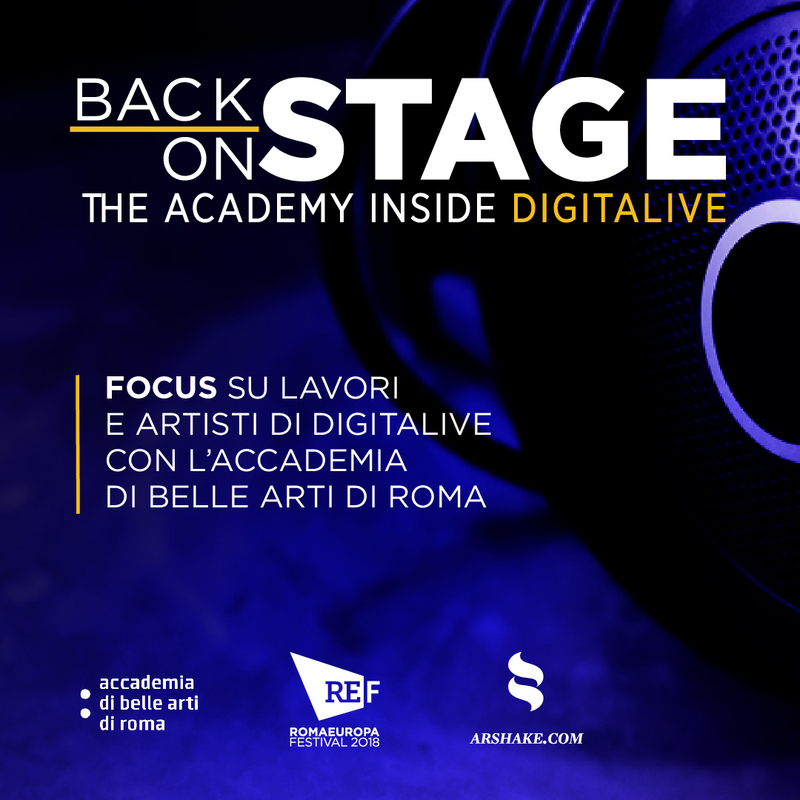 From Krauss to the present day, when art, technology and communication are the key words to understanding the second edition of EFFIMERA, curated by Fulvio Chimento and Luca Panaro, in collaboration with Modena’s Galleria Civica and on show at the former Tobacco Factory (MATA). The MATA’s spacious rooms have been divided into three areas which aim to map out an immersive journey through the works of Carlo Bernardini, Sarah Ciracì and Roberto Pugliese. Art in itself – Sarah Ciracì says – is an experience which adds something to our way of perceiving reality or, even better, invents new ways of perceiving, expands our senses. Technology, on the other hand – as Marshall Mcluhan claims – is an extension of our senses. Using technology to create works of art not only amplifies their function and their nature, but is also a way of bringing technology to a spiritual dimension, more sensitive and therefore more human. Beyond the immersive experience, the common thread running through the EFFIMERA exhibition is dematerialisation as an instrument of subtraction, in order to reach the form of the invisible by warding off the bête noire which is the disappearance of art by using the art of disappearance or thinning out. This is the case with Carlo Bernardini, whose work turns into light, disappears and loses itself in a stroke, “drawing” spaces in which one’s own spatio-temporal coordinates are lost, spaces which distort and alter the onlooker’s vision. Externally-lit fibre optics – explains Carlo Bernardini – crystallise light into a physical shape; alongside shadow, light is the only element which has the property of being visible although it is immaterial. Light forms in fibre optic create a perceptual mobility, tending to transform the viewer’s perceptual coordinates, as well as the space which contains them, or of which they themselves become the container. It is not so much the installation changing according to the space, but rather the space containing it changing according to the installation. The idea is to cancel out the physicality of real space, aided by darkening the background, and thus allow the viewer to traverse a place as a kind of ‘mental’ space. The effect of the perceptual transformation is that the viewer in the dark room is able to experience this place in a different way, entering as if from another dimension, intuitively approaching what experimental physics might consider the ‘invisible dimensions’. The viewer may decide to observe the installation from the outside, but may also move and see how it changes from the inside. Every movement of the viewer causes the shape to shift, giving the impression of being faced with different installations each time. It is my intention to create works which can be read as visual organisms, containing simultaneous perceptual overlaps, both static and dynamic. 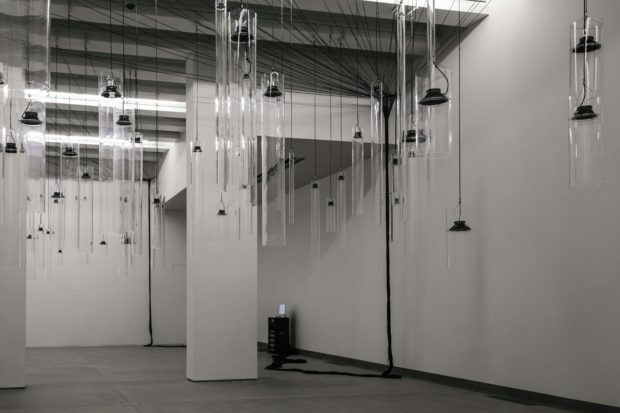 The balance between the bulk of matter and its circumvention or absence (dematerialisation through sound) forms the basis of Roberto Pugliese’s research, which could be defined – jointly – as organic sound and the aesthetics of complexity, linked to synaesthetic experience and offered to the public. His research lies on the borders between art, technology and nature: sound and technology involve – both visually and otherwise – the flow and the vital energy of nature, transforming structural – technological – elements into fluid elements which echo natural forms, which animate the inanimate. 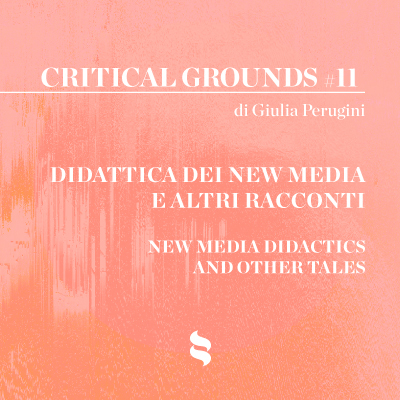 In fact the dematerialisation of EFFIMERA is not merely an aesthetic choice, but also an opportunity to focus on the immateriality of/in consciousness, as stated by Ciracì, who presents a previously unseen video piece for the occasion. These visual experiments allow the visitor to witness the shift from real givenness (the concrete tangibility of matter) to its gradual subtraction by means of multiple mediums (light art, video art, video installations), to achieve the construction of space (and consequently of the artwork) in all its virtual potential, in infinite amplified and shared spaces which enable interaction between artist and audience.